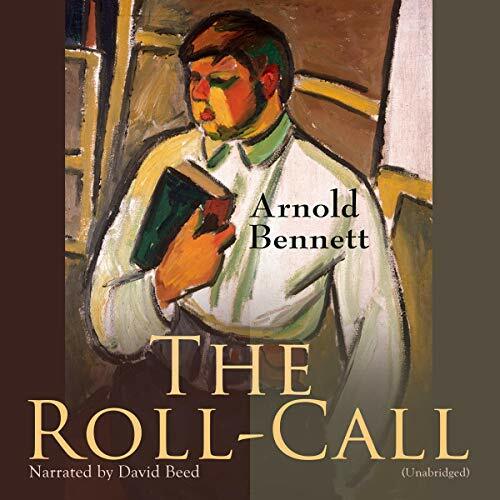 "The Roll-Call" (1918) by Arnold Bennett is a novel written after the Clayhanger trilogy. It describes the young life of Clayhanger's stepson, George. George Edwin Cannon - he soon drops the surname Clayhanger, given to him upon his mother's marriage - is an architect, and represents what his stepfather Edwin Clayhanger wished to become. The characters of Edwin and Hilda are not developed further in this book: Edwin - now elevated to Alderman - appears only briefly. The central character displays an unattractive arrogance because of the wealth behind him. In an early chapter, he thinks about adding electric light to his London dwelling, and decides that he - or rather, his stepfather - can well afford it. Bennett seems to have felt that the children of the successful bourgeoisie, unless their excesses are suppressed as Edwin's were, will become spoilt.